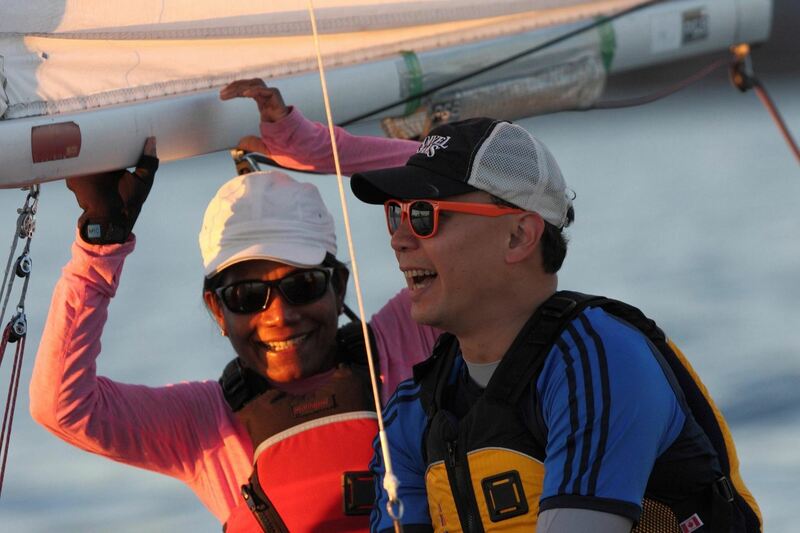 Toronto Island Sailing Club (TISC) is Toronto's best-kept secret, and the best way to spend your summer! Whether you've never set foot in a boat before, or you're an experienced Skipper, there's something for you at TISC! While registering, you have the option to rent a cubby for your gear! * Early-bird rate is available for full payments received or post-marked through April 30, 2019. Itching to ask questions? Attend a casual info session with long term sailors and recent converts, followed by drinks. Find out how you can join TISC next season by subscribing to our mailing list. Better yet, if you don't think you've got the time to dive into sailing this year, get to know us now by joining as a social member. It's a real bargain and the best fun you'll have this summer. What's it like to sail with us? Watch our video and find out.